I’ve been thinking a great deal recently about how policymakers can address the challenges of stalled investment in the energy markets. My post yesterday on system tightness underlines the importance of the challenge, so I was pleased to come across this excellent paper from Michael Hogan at The Regulatory Assistance Project (RAP). The paper outlines, in a way accessible to those unfamiliar with energy market mechanics, the different approaches available to address what is often described as the “missing money” problem, in order to generate appropriate investment signals. I will summarise the key points here. What is the “missing money” problem? Historically energy markets were dominated by virtually integrated state monopolies, who often subsidised the cost of electricity during periods of shortage through higher prices at other times. When the markets de-regulated and the monopolies broken up, regulators focused on stimulating competition, as without effective competition, markets become vulnerable to abusive pricing practices. In theory, prices in commodity markets reflect the price at which supply and demand is balanced, however electricity markets have two features which undermine this process. The first is that electricity is difficult and expensive to store, increasing the market’s vulnerability to abusive withholding of supply. The second is that electricity demand is relatively inelastic as retail prices do not vary greatly in time meaning that demand does not respond to changes in wholesale pricing, except possibly over long time horizons. To combat these challenges, regulators introduced various interventions, including price caps, which begin to separate prices from costs. Other price-distorting mechanisms include procurement of emergency reserves which can enter the market at artificially low prices. While each of these interventions had sound motives, and effective competition is an absolute pre-requisite for proper price formation, the effect of these interventions is to distort prices, which can interfere with investment signals. 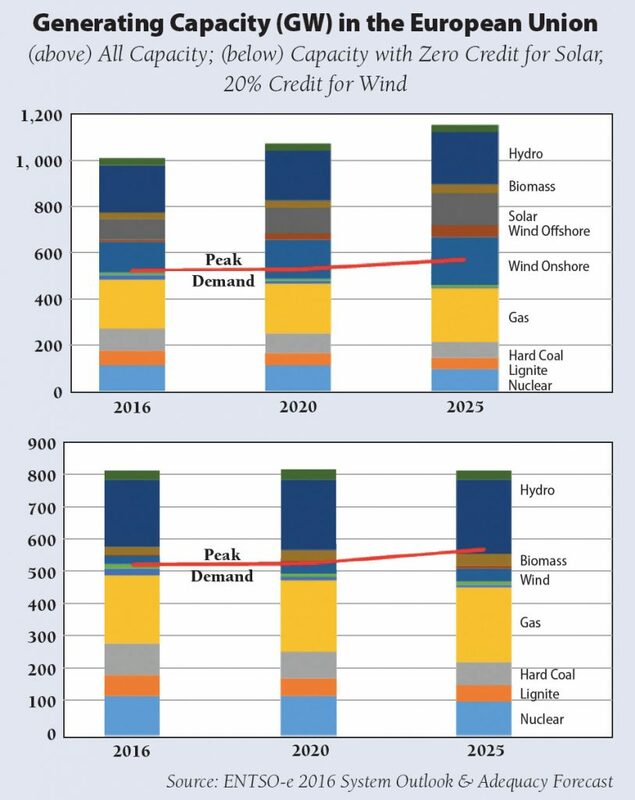 Other distortions come from measures to promote wider political agendas, for example decarbonisation, where the subsidies for renewable generation have not been matched by early retirement schemes for other plant, leading to significant overcapacity and depressed prices. Other policies can support continued use of assets that would otherwise be forced out of the market, to protect local employment for example, which leads to further inefficient resource allocation.